Plagioclase is a group of feldspar minerals. Like many other such groups, it is a series of solid solutions between the sodium end albite, and the calcium end anorthite. Between the two are oligoclase, andesine, labradorite and bytownite. Most are colourless, white, grey, brown or green, but labradorite is blue. 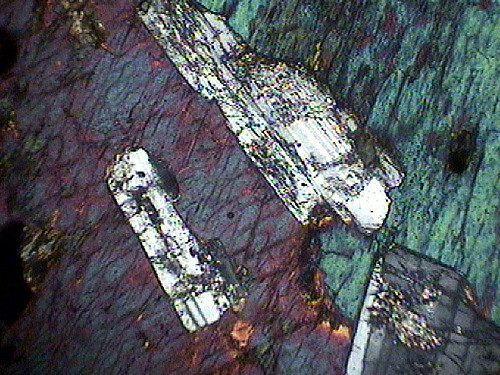 In thin sections they typically look like on the photo above.